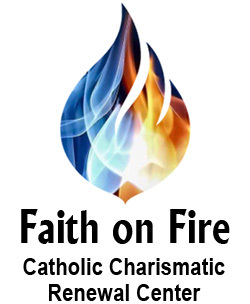 Word of Life Catholic Charismatic Center for the Diocese of Erie runs on a very tight budget and we depend nearly 100% on your kind donations to us. We are a non-profit. Our singular goal is to see the ‘dry bones’ (Ez Ch 37) of individuals, churches, and the whole diocese come to LIFE! Every event we offer is offered at our absolute minimal cost in order to make it affordable to everyone. However, this means that we do not even break for some of the events that we sponsor. Our newsletter, which we love to send out as a means of sharing, teaching and evangelization, is sent out free of cost to every person and we are thankful to God that we have been able to do this for nearly 30 years. However, the newsletter remains a significant expense for WOL. If you are able to give, we appreciate it more than you can imagine. We have exciting future plans to bring in wonderful and well known national and international speakers, as well as offer other seminars and programs. Simply put, we cannot do it without you. We recognize that many people have limited funds and are not able to give. Please know that we pray for God’s blessing on all of those who support us, whether it is financially or through your prayers and we GREATLY appreciate any gift, big or small. On behalf of the Board of Directors of WOL CCRC, Thank you and God bless you!